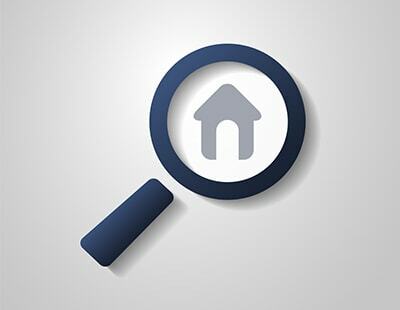 The fact is that most house hunters simply do not have the time, let alone the inclination, to trawl around properties and estate agents day in, day out, which is why they plump for the convenience of searching online across a wide spectrum of property listings on the portals – dominated in recent years by Rightmove and Zoopla. With the world of property marketing changing fast and the digital marketing landscape evolving, agents have had little alternative but to alter the way they market their homes and that has meant a need to list properties on the two major portals. But that has come at a cost over the years as listing fees have soared. When a sales representative from one of the two major portals approached a well-established north London agent a few years back and asked for a 50% increase in their yearly tariff, the agent was horrified at what he described as “the audacity of this proposal”, and simply hoped that he had misheard the sales representative. “Did you say 15%?” was the reply from Trevor Abrahamson, the owner of Glentree Estates. “No” the salesman retorted, “I said 50%”. After venting his displeasure Abrahamson agreed to pay the increased amount, but asked if he could terminate the meeting, since he had to get to work on an alternative plan for the longer term. What was the alternative plan? The plan was to invite 25 leading estate agents to a secret meeting at Zafferano, a restaurant in Belgravia. Everyone turned up without knowing the context. He explained that he wanted to see a new property portal launched, which is “owned and controlled by agents themselves”, in order to try to “counter-balance the overwhelming fiefdom that the two largest portals had created for themselves”. There was overwhelming agreement among the agents and from that moment on, the concept of Agents’ Mutual as a business and subsequently OnTheMarket.com as a brand was born. It’s been over two years since the property website, backed by a consortium of heavyweight high street agents, including Savills, Knight Frank and Glentree Estates, launched in a bid to challenge the dominance of Rightmove and Zoopla. Supported by a multi-million pound marketing media campaign and its ‘one other portal’ rule - which bans its agents advertising on both Rightmove and Zoopla - plus prohibiting online agents from listing, OnTheMarket increased market share, mainly at the expense of Zoopla, while strengthening the position of Rightmove. Having established itself as the UK’s third largest portal in terms of consumer traffic and agent support, OnTheMarket firmly believed that it was on course to replace Zoopla as the number two property portal by the end of 2016 on its way to achieving its medium-term objective of challenging the market leader, Rightmove. But due to a lack of consumer traffic it has never quite managed to succeed in regaining power over the homebuyer audience and in turn returning control to the traditional high street brands. According to analysis by Jefferies, OnTheMarket currently remains behind its two main rivals, with just 5,700 (15%) agent branches signed up, compared to Zoopla’s 14,271 (38%) and Rightmove's 17,589 (47%). But while OnTheMarket has so far failed to dislodge Rightmove and Zoopla as the two biggest portals, it has made some inroads into this highly competitive market. Although Springett accepts that “it will clearly take time” for OnTheMarket to challenge Zoopla and Rightmove head-on in terms of traffic, he is pleased with the speed of the website’s progress. He continued: “As our traffic continues to build, our lead levels will increase. The strategy of creating competition within the marketplace through agent backing and price disruption is our planned path of progression. To help step up the battle against rivals Rightmove and Zoopla, OnTheMarket has announced plans to float on London’s junior AIM market in the near future in a bid to raise about £50m to fuel its expansion and restructure its business. The company is aiming for a market capitalisation of £200m to £250m. Springett explained: “We believe that the potential raising of new capital via an IPO, if successful, will enable management to accelerate the growth of the OnTheMarket.com portal. The proposed changes have the power to be transformational but do not mean an abandonment of the principles around which Agents’ Mutual was built. However, several agents have voiced their discontent at the low number of leads they have received from OnTheMarket, with a number of firms expressing a desire to see the ‘one other portal’ rule scrapped to enable them to freely list properties elsewhere to boost their chances of receiving more buyer and tenant leads and enquiries. But in July, OnTheMarket won a 12-month-long competition battle after a tribunal ruled that its ‘one other portal’ rule was allowed within competition laws. “The judgment in Agents’ Mutual’s favour on July 5 2017 described the market entry strategy with its ‘one other portal rule’ as ‘objectively necessary’ and ‘pro-competitive’ because it increased competition between Rightmove and Zoopla to become the remaining portal choice for estate agent customers,” Springett explained. However, the move to float will see OnTheMarket change its membership criteria to drop its ‘one other portal’ rule and allow online estate agencies to list on the website for the first time. Despite the challenge from OnTheMarket, Zoopla still attracts significantly more visits from potential house buyers than its rival each month, while inventory on the website is about three times higher in comparison. Earlier this month, ZPG announced that Connells, which operates 600 sales and letting agent branches, had become the latest major agency chain to sign a long-term deal with its portals Zoopla and PrimeLocation, just a few a weeks after the group had signed an extended deal with Countrywide committing its 1,000 branches to the websites until 2021. Lawrence Hall (right), head of communications at ZPG, commented: “With over 50 million consumers visiting our portals each month, and almost a third of house hunters visiting only our portals, we are by far the most cost effective advertising platform and source of both applicant and instruction leads in the UK. “We are focused on making sure we provide the most useful resources for consumers and are the most effective partner for agents. The company, which floated in 2014, responded to the challenge posed by OnTheMarket by acquiring several digital platforms, including uSwitch, Money.co.uk, Hometrack and the Property Software Group. ZPG’s diversified strategy has enabled the firm to differentiate from its main rivals by providing a ‘one-stop shop’, not just for homebuyers, but also for consumers looking for a wide range of services. “We certainly hope to and are focused on differentiating our proposition from our competitors and providing a great service to consumers which in turn allows us to provide great value to our partner agents,” Hall said. In fact ZPG’s half-year results for the six months ended March 31 2017 revealed that the total number of unique property partners, including acquisitions, was up 35% to 23,516. The data also revealed that UK agency portal partner growth was up 6% to 14,271 branches and inventory up 9% to about 928,000 listings. Unlike OnTheMarket, Zoopla offers a number of additional services for both consumers and agents. Hall explained: “Our consumer tools like local information, sold prices and running costs help to engage consumers more often and provide better quality leads for agents. “Following our acquisition of the Property Software Group, we now offer a compelling range of additional services to agents from CRM to hosting their websites and our award winning consumer targeting product, AdReach. Some market analysts believe that Rightmove, one of the most profitable and highest ranked websites in the UK by visitor traffic, has been the real beneficiary of the war of the online property portals over the past couple of years, having continued to add properties to its inventory, helping to generate more than four million leads every month for agents. Rightmove puts agents’ brand and properties in front of the biggest home-hunting audience in the UK, helping to offer firms a competitive edge in their local market. Rightmove CEO Peter Brooks-Johnson (below) commented: “In the first half of this year home hunters visited Rightmove a record 3,000 times a minute - turning to us first to search and research on the only place you can see almost the entire UK residential property market. On average there were 131.8 million visits each month in the first half of 2017. Another advantage to subscribing to Rightmove is the fact that agents gain access to the Rightmove Plus login section, which is updated daily and provides invaluable information, including market share reports that deliver insight on available stock and agreed sales in their local patch. 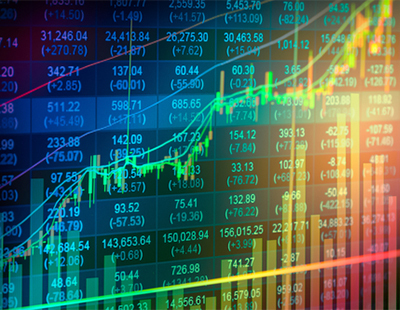 “By combining our commitment to innovative software, data analysis capability and our unique view of the whole market we also help our customers drive operational efficiencies and inform their business decisions,” said Brooks-Johnston. Rightmove claims that your clients are six times more likely to find a buyer for their property on its website than anywhere else, thanks partly to its real-time data feed, which allows agents to upload new instructions onto Rightmove within minutes, which is then sent out to prospective buyers through its instant property alerts. Rightmove is also dedicated to helping its customers with training. Brooks-Johnson added: “The new Rightmove Live series of inspirational talks by leading figures from outside the property industry, together with our webinars and seminars, have covered topics as broad-ranging as creating the ultimate listing on Rightmove and innovating in a small business. Although the industry is dominated by the three main portals, Rightmove, Zoopla and OnTheMarket, there are other websites that provide an alternative focus, specialist criteria and alternative search facilities that you may wish to consider listing properties with. 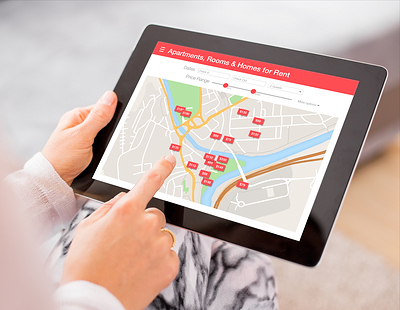 Properstar, via parent company ListGlobally, is connected to over 80 property portals around the world. With more than four million visitors a year, Citylets, established 18 years ago, occupies a strong position in Scotland’s letting market. The portal mainly lists properties in and around Hampshire but it is starting to roll out its service to other parts of the country. Buy2Let.com lists buy-to-let homes by yield, offering purchasers a clear understanding of their return on investment. Buyers can compare property by annual rental return, in addition to the price location and selling agent. Propertini.com, the international property search engine, launched the UK version of its website in 2014. Home.co.uk has links to thousands of homes for sale and to let across the UK. Initially I wondered if On the Market was financed by Right Move as it fell right into their lap with the one portal rule. There will be people who will benefit from flotation - but it wont be agents! At least if Zoopla ask for a price increase you know that you're buying a decent product - not so with OTM.